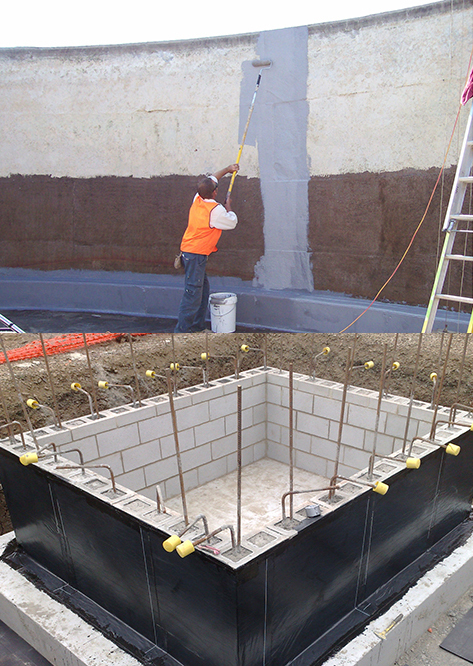 Offering building and basement waterproofing services for industrial and commercial customers in the Albany NY area. Call 518-732-7234! Water makes its way into all types of buildings and the most susceptible area of any building to water is the foundation. DeBrino is a certified or approved applicator for W.R. Grace, Carlisle, GeoSeal and Koch waterproofing products. For over 40 years, DeBrino’s experienced and well-trained employees have completed numerous waterproofing services throughout Albany NY, New England, and the Northeast States. We will assess your building and find the right technique and sealant for the application. Stop damage and potential health hazards to your facility by sealing and protecting it from the water that can penetrate. Call us today at 518-732-7234 to discuss your waterproofing needs and to devise a plan to bring your building back to health.